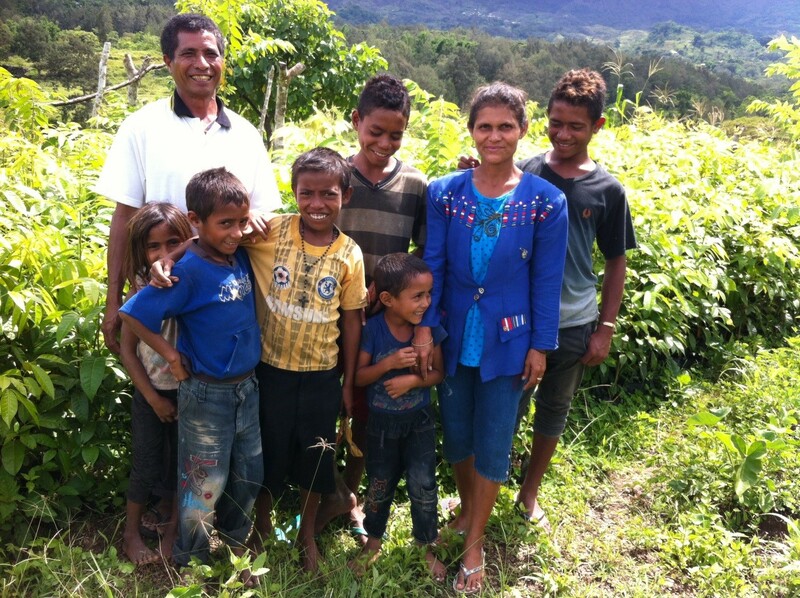 Andre da Costa, 47 years old, is a teacher of central primary school Hauba, suco Malibu sub district Bobonaro, Municipality Bobonaro in Timor Leste. In the photo above he stands with his wife Paulina Maia Barros, 42 years old. They have 6 children aged between four and 17. Andre was trained on FMNR in 2015. Since then he has been practicing FMNR on his farm, which is currently 10 acres, as well as at the school where he works. “I started to know about FMNR from Bobonaro acts on climate change (BACC) project staff who came and trained us about FMNR. Currently we have mahogany seed for about 5000 which we are going to plant with involvement from the government institution.” Andre says. Currently he is extending his farm from 5 ha to 10 years especially for the planting of mahagony, fruit trees and additional horticulture. 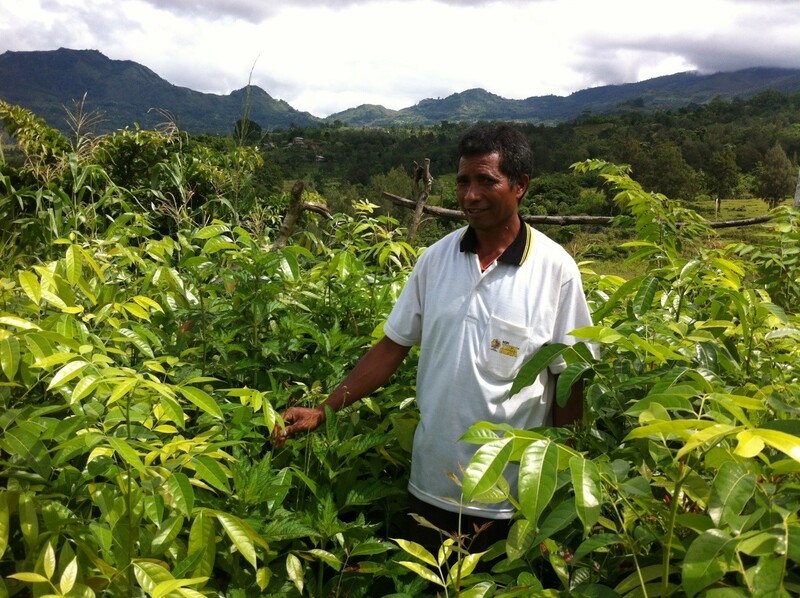 Andre provides an example for his fellow community members to learn from as he is implementing FMNR alongside crops and showing how trees can have a positive impact on farms. Community members, including the village leader, have asked for training in FMNR. Andre hopes he can get more support in the future for FMNR implementation in the community.